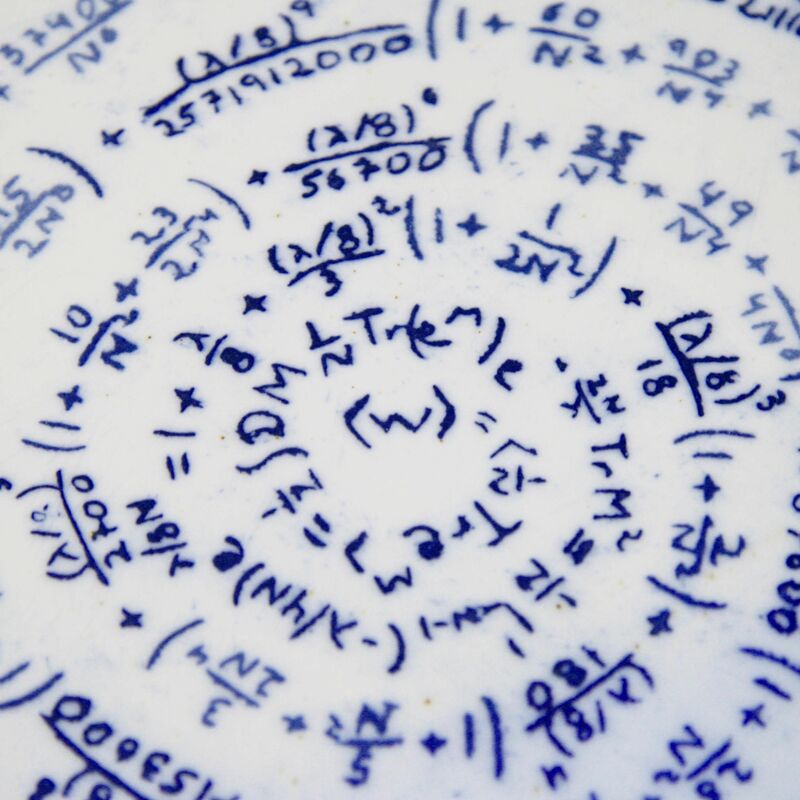 Pottery and quantum physics are not disciplines that normally go together. 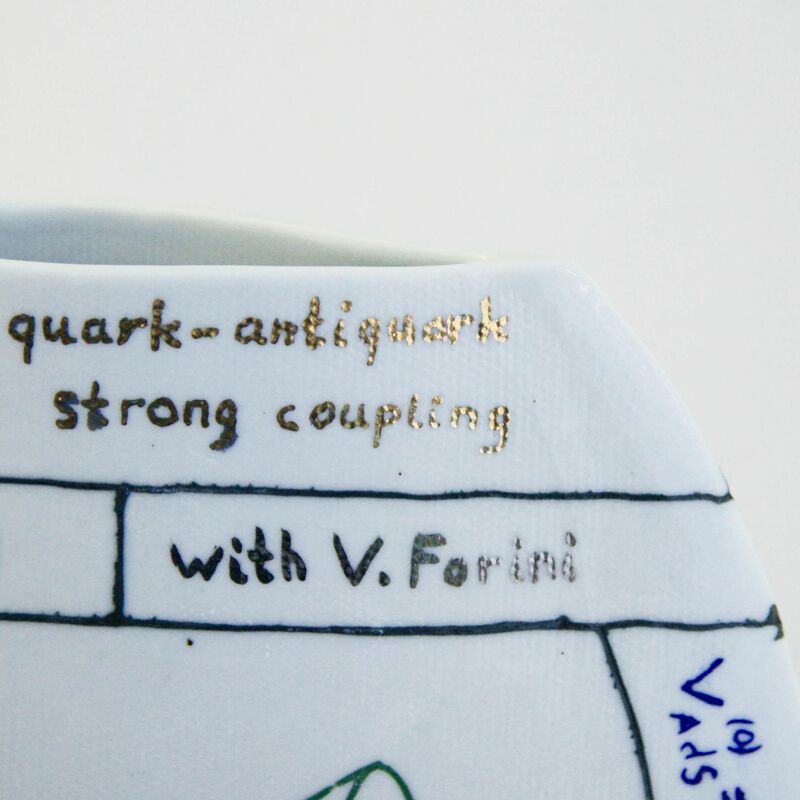 But for theoretical physicist Nadav Drukker, who creates pots decorated with ideas from his research into string theory at King’s College London, they are natural partners. “I create objects that represent the beauty I find in string theory, but cannot convey directly to non-specialists,” he says. 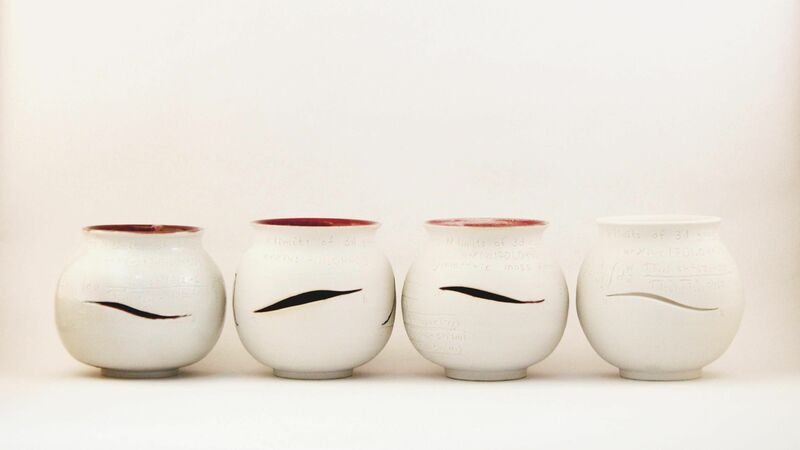 Like ancient potters, for whom clay was used for everything from mathematical notation to disseminating messages, the Jerusalem-born artist’s ceramics are a way to communicate his ideas with an audience. Even if they can’t understand precisely what that message means. 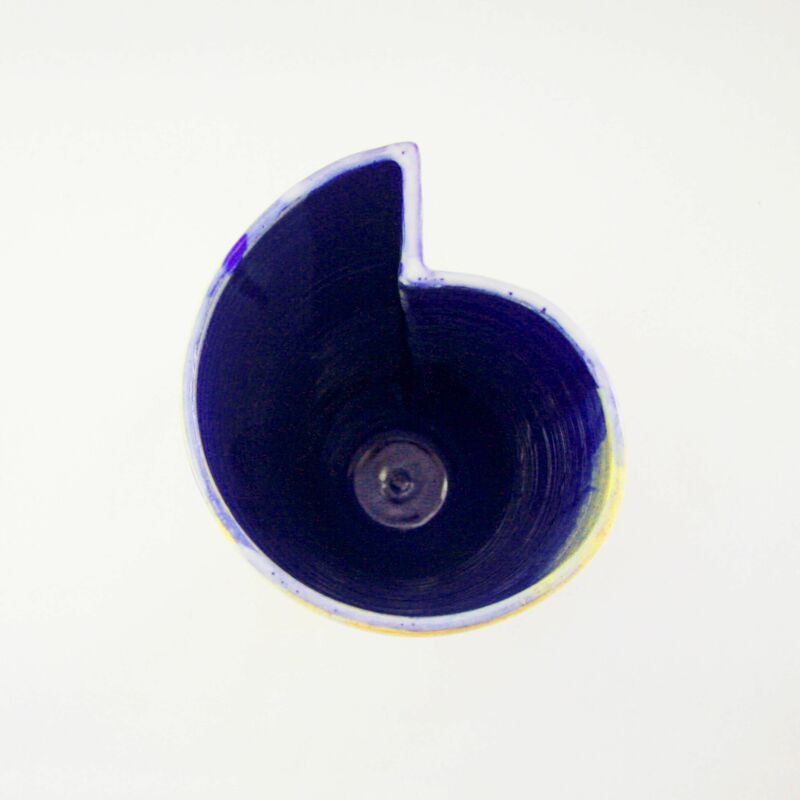 On 17 March the Knight Webb Gallery in Brixton, south London, will present his exhibition Quantum Ceramics. The series of six projects – entitled Circle, Cusp, Index, Polygons, Cut, and Defect – are grouped as still lives, styled like the paintings of Giorgio Morandi. How do you explain string theory to a non-scientist? String theory is, in essence, a theory combining quantum mechanics and gravity, a hypothesis that all particles are actually tiny strings. At university, we teach the very basics of it to master students, so the very cheeky answer is that I explain it via a four-year theoretical physics degree. What made you want to combine the two disciplines? I’m hugely passionate about both, so it felt natural for me to want to combine them in some form. I also wanted to share some of the excitement from both of my passions with the public, so instead of attempting to answer the question of what string theory is, I create objects that represent the beauty I find in string theory, but cannot convey directly to non-specialists. I hope that the viewer will be able to admire the forms and formulas the way that one views hieroglyphs or cuneiform, which we know carry meaning, but most of us cannot read. In particular cuneiforms, one of the earliest forms of writing, were normally implemented in clay and developed for book keeping. So I am bringing back modern mathematical notation to clay. Another reason was that many people upon hearing that I do both, feel that my research represents my boring predictable analytic side and that ceramics is where I am creative. In fact, research is at least as creative as ‘the creative arts’. We create knowledge from nothing and this requires much more originality than say the making of a cup or a vase, a craft that has already been mastered a millennium or more ago. I use my creations in clay to mirror my scientific creativity: rough calculations are represented in a rough decoration on coarse clay. The final outcome of a long process of study and research are refined formulas which I represent on delicate white porcelain with more elegant writing and some decorations in real gold and platinum. What is it about Morandi that you're trying to emulate? The Morandi reference comes from the exhibition design and layout, where the ceramic pieces are presented in groups together on shelves like Morandi’s still life paintings. Whilst I am a fan of Morandi myself, most of my influences come from a range of other, widespread sources. My ceramics training was rather practical and the discussion never really was about artistic inspiration, but I indirectly inherited from them the tradition of studio pottery mostly associated with Bernard Leach. I worked in Israel with a ceramicist who also made it in the art scene there, Doron Yacobi, and he certainly inspired me. I have also been inspired by Japanese art. Potters love that the distinction between art and craft is not as sharp in Japan as it is in the west. I got exposed to it from an early age because my grandfather was a major collector of Japanese art (he established the Tikotin Museum of Japanese Art in Haifa), so that aesthetic is well ingrained in me. Of contemporary British ceramicists, I was inspired by Edmund de Waal and Grayson Perry, though my practice is very different from both, who are also very different from each other. The relation to de Waal involves first his book, The Hare with the Amber Eyes, the story of a Jewish family in Europe and Japanese art, in which I could identify my family as well – apart for the wealth. I am also influenced by his passion for porcelain. 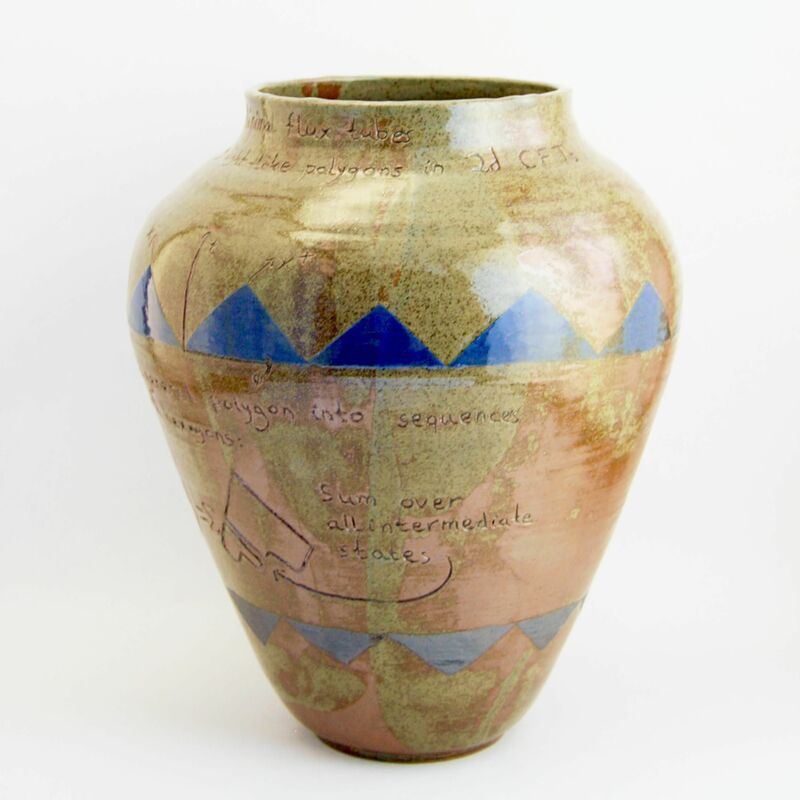 Perry inspired me to use the surface of the pot for multilayered decoration and use traditional decoration techniques to convey a modern message. What did growing up in Jerusalem bring to your art? Jerusalem is steeped in history and archaeology is everywhere. Archeologists find varied objects: stones, coins, bones, food remnants, but the type I most related to, as I believe many do, is ceramics. This was the plastic of the old world, cheaper than metal and easily worked. It can be used to make plates and storage vessels, and as mentioned above also a medium to write on. Beyond that, one of the most famous archeological discoveries in the region is the Dead Sea Scrolls. The story of their discovery involves the ceramic vessels they were stored in and their iconic form inspired a building in the Israel museum, a clear feature of the Jerusalem skyline. What has the reaction to your work been? A combination of bewilderment and fascination. Most people find it a very odd combination until they see the pieces, at which point most like either the forms and colours or the formulas, and in some cases both. In fact, since I represent my own research on my pots, quite a few colleagues expressed interest in collaborating with me, in the hopes of seeing our joint work realized in clay. And possibly preserved better than in digital forms for future archaeologists to unearth.